Sweet Acorns … I’m bringing a bowl to the in-laws … does it count as a side dish? … or vegetable? 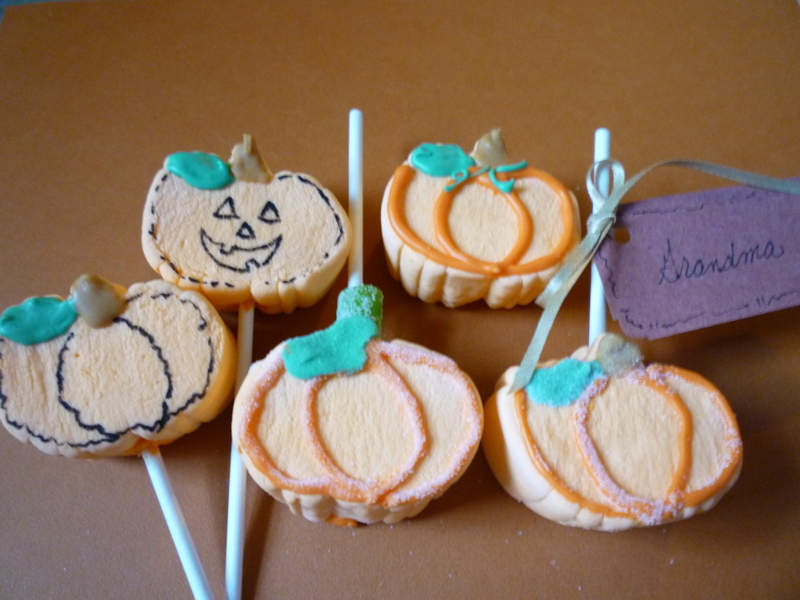 Pumpkin Shaped Marshmallows … I may bring some of these too! 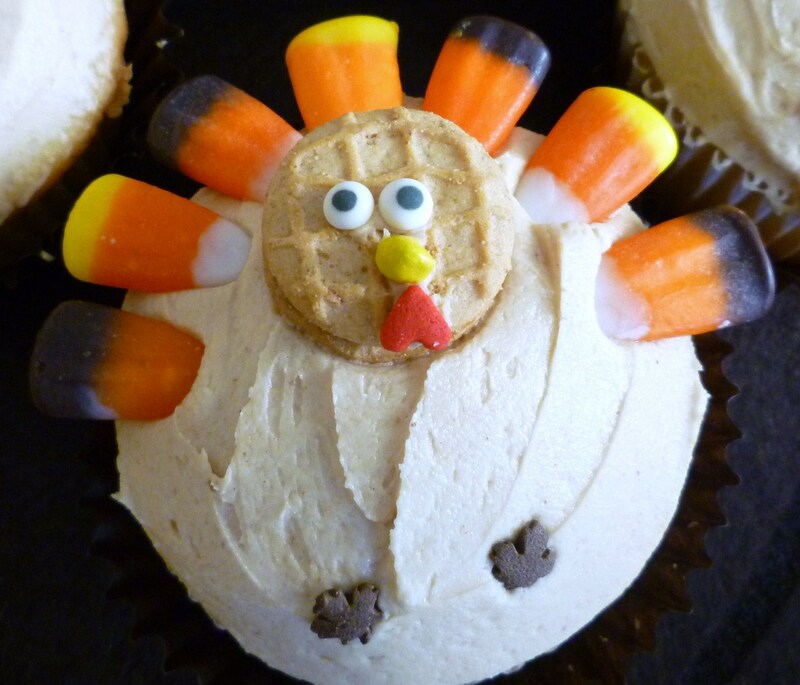 Turkey Cupcakes … I do luv Mr. Turkey Lurkey. 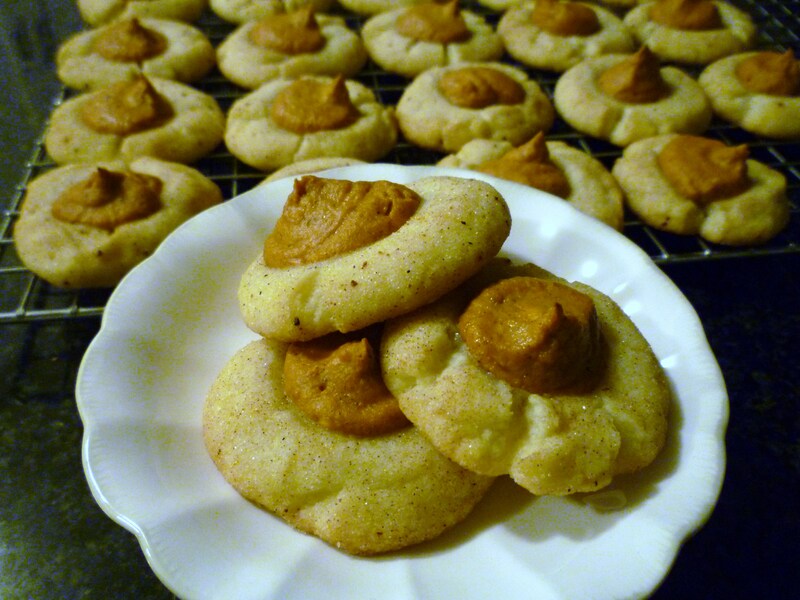 Pumpkindoodles … They were yummy. 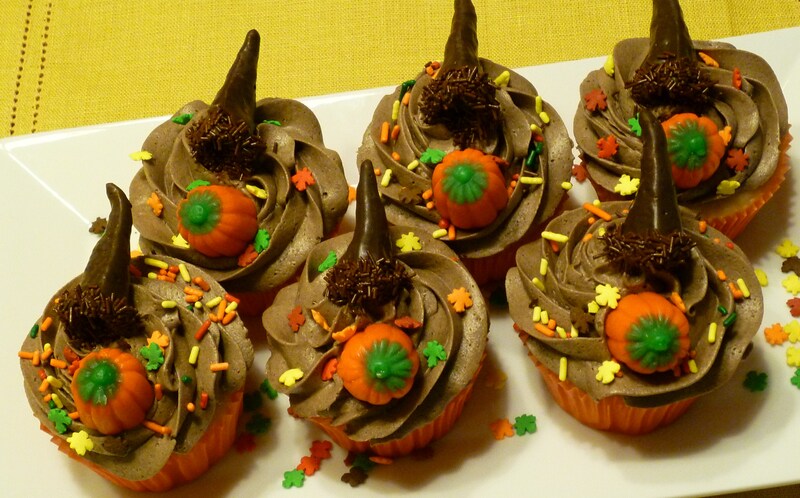 Cornucopia Cupcakes … Very easy to make. 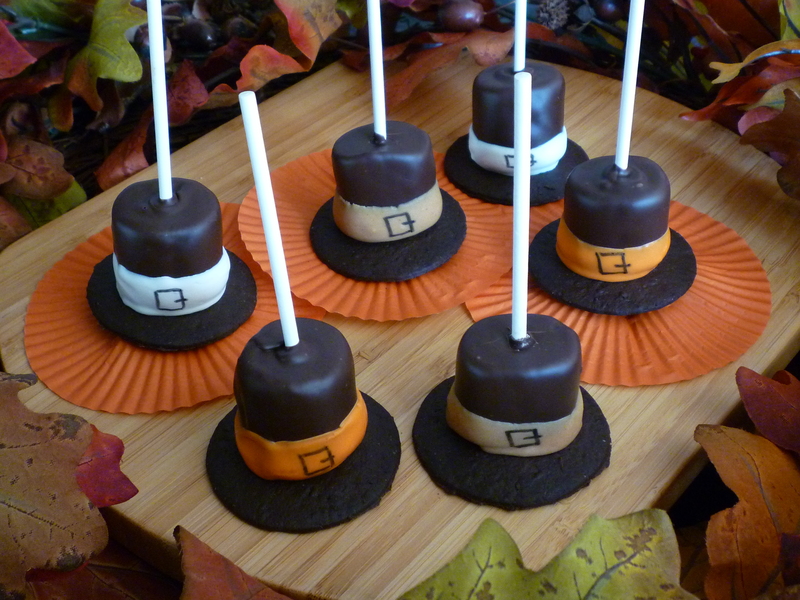 Marshmallow Pilgrim Hats … Sooo simple. 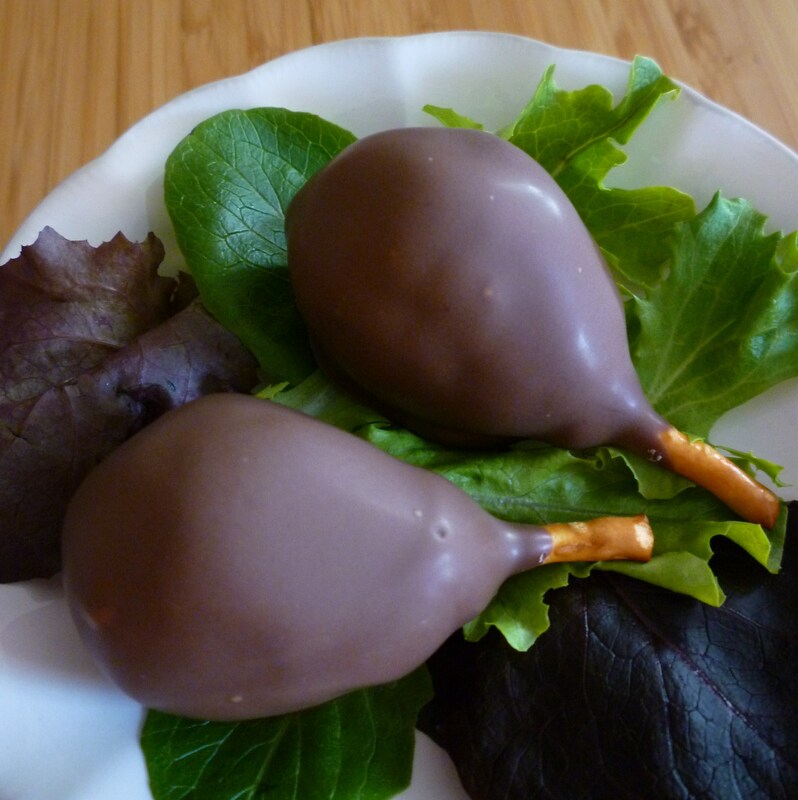 Turkey Leg Cake Pops … Drumsticks for everyone! A friend was here from CA a few weeks ago. 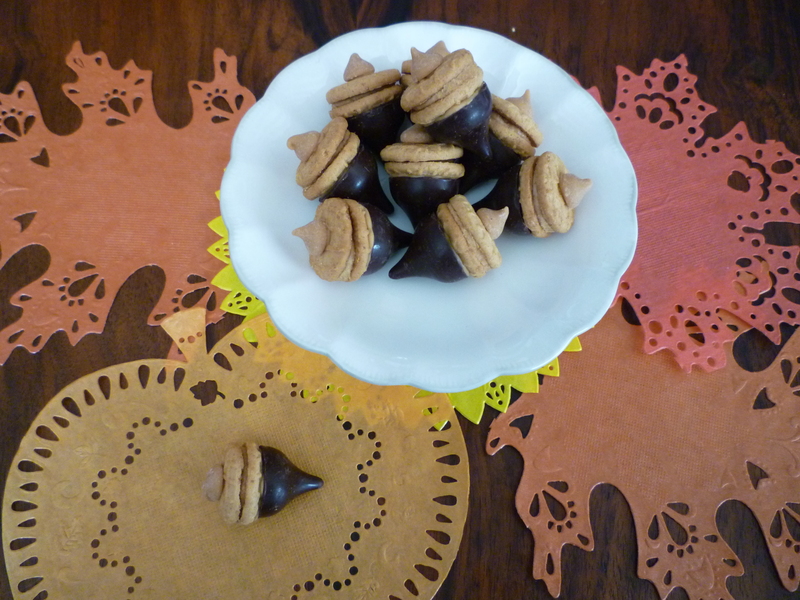 She made some of the acorns for a scrapbook weekend we went to. They were a big hit. Brenda you do make the most tastest and loveable good and attractuve goodies.